A good part of the articles I write are based on questions and suggestions by CaL members, and Vitamin D is a fairly popular subject in the whole wellness spectrum. Given that it is estimated that over a billion people worldwide are deficient in Vitamin D , it really ought to be a subject of nutritional concern. To begin with, foods with significant amounts of naturally occurring Vitamin D are quite limited . Folks who eat non-vegetarian food shouldn’t have much of a problem getting their doses of Vitamin D, given that oily fish (e.g. Salmon) and certain fish based oils (e.g. cod liver oil) are rich in this nutrient . Vegetarians who only avoid animal flesh and include milk and/or eggs in their diet won’t have it easy, but will be able to manage. Those of us however who only eat plant based foods will likely face Vitamin D deficiencies. This article is primarily for those of us with entirely plant based diets. How it helps: Vitamin D is helpful for the intestinal absorption of Calcium in addition to promoting bone health. When combined with Calcium, Vitamin D can be helpful against Osteoporosis. Vitamin D also plays roles in cell growth, immune function and in reduction of inflammation among others. I went through a list of over 2,000 foods containing Vitamin D and found virtually none that were plant based and contained significant quantities of Vitamin D. Of those that do, very few are available in India. The only plant food I could find, of which we wouldn’t have to eat a bucket full to get anywhere, is white mushrooms, exposed to ultraviolet light. 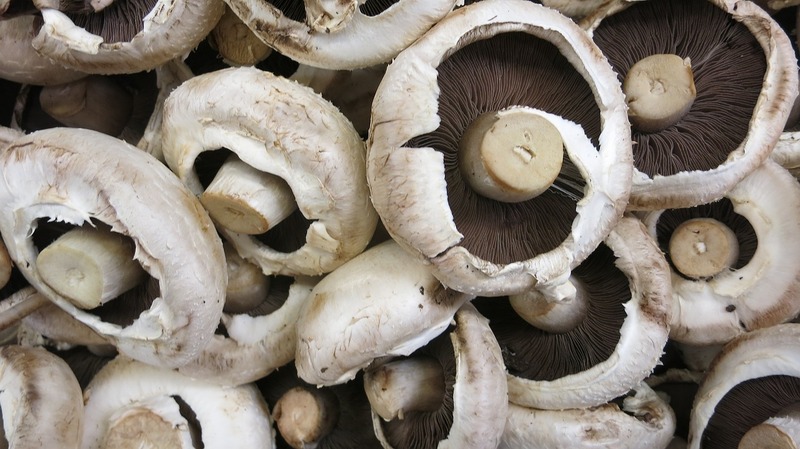 Research has indicated that pulsed ultraviolet light massively increases levels of Vitamin D in mushrooms . I’m not sure if this practice is prevalent in India, but consumer pressure is likely to get mushroom farmers to begin doing so, most of whom are in the unorganised sector. To give you an example, from my list (which may not be reflective of all plant based foods available in India), the only item I could find that contained any Vitamin D at all and was available in India, were white mushrooms, cooked by microwaving. These contain 0.3 micro-grams (mcg) of Vitamin D, per 100 grams of mushrooms. We need about 15 mcg per day, which amounts to eating about 5 kilos of mushrooms a day. I’m sure we can agree that may be a little too much for most of us.